The identifying trait of fantasy is the author's reliance on imagination to create narrative elements that do not have to rely on history or nature to be coherent. This differs from realistic fiction in that whereas realistic fiction has to attend to the history and natural laws of reality, fantasy does not. An author applies his or her imagination to come up with characters, plots, and settings that are impossible in reality. Many fantasy authors use real-world folklore and mythology as inspiration; and although for many the defining characteristic of the fantasy genre is the inclusion of supernatural elements, such as magic, this does not have to be the case. For instance, a narrative that takes place in an imagined town in the northeastern United States could be considered realistic fiction as long as the plot and characters are consistent with the history of region and the natural characteristics that someone who has been to the northeastern United States expects; when, however, the narrative takes place in an imagined town, on an imagined continent, with an imagined history and an imagined ecosystem, the work becomes fantasy with or without supernatural elements. Despite MacDonald's future influence with At the Back of the North Wind (1871), Morris's popularity with his contemporaries, and H. G. Wells's The Wonderful Visit (1895), it was not until the 20th century that fantasy fiction began to reach a large audience. Lord Dunsany established the genre's popularity in both the novel and the short story form. Many popular mainstream authors also began to write fantasy at this time, including H. Rider Haggard, Rudyard Kipling, and Edgar Rice Burroughs. 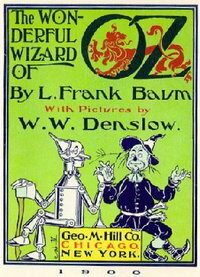 These authors, along with Abraham Merritt, established what was known as the "lost world" subgenre, which was the most popular form of fantasy in the early decades of the 20th century, although several classic children's fantasies, such as Peter Pan and The Wonderful Wizard of Oz, were also published around this time. Fantasy was a staple genre of pulp magazines published in the West. In 1923, the first all-fantasy fiction magazine, Weird Tales, was published. 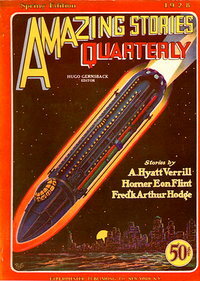 Many other similar magazines eventually followed, most noticeably The Magazine of Fantasy and Science Fiction; when it was founded in 1949, the pulp magazine format was at the height of its popularity, and the magazine was instrumental in bringing fantasy fiction to a wide audience in both the U.S. and Britain. Such magazines were also instrumental in the rise of science fiction, and it was at this time the two genres began to be associated with each other. By 1950, " sword and sorcery " fiction had begun to find a wide audience, with the success of Robert E. Howard's Conan the Barbarian and Fritz Leiber's Fafhrd and the Gray Mouser stories. However, it was the advent of high fantasy, and most of all J. R. R. Tolkien's The Hobbit and The Lord of the Rings, which reached new heights of popularity in the late 1960s, that allowed fantasy to truly enter the mainstream. Several other series, such as C. S. Lewis's Chronicles of Narnia and Ursula K. Le Guin's Earthsea books, helped cement the genre's popularity. The popularity of the fantasy genre has continued to increase in the 21st century, as evidenced by the best-selling status of J. K. Rowling's Harry Potter series or of George R. R. Martin's Song of Ice and Fire sequence. Several fantasy film adaptations have achieved blockbuster status, most notably The Lord of the Rings film trilogy directed by Peter Jackson, and the Harry Potter films, two of the highest-grossing film series in cinematic history. Meanwhile, David Benioff and D. B. Weiss would go on to produce the television drama series Game of Thrones for HBO, which has gone on to achieve unprecedented success for the fantasy genre on television. In a "portal-quest fantasy" or "portal fantasy", a fantastical world is entered through a portal, behind which the fantastic elements of the story remain contained. These tend to be quest -type narratives, whose main challenge is navigating the fantastical world. Well-known portal fantasies include C. S. Lewis's novel The Lion, the Witch and the Wardrobe (1950) and L. Frank Baum's novel The Wonderful Wizard of Oz (1900). The "immersive fantasy" lets the reader perceive the fantastical world through the eyes and ears of the protagonist, without an explanatory narrative. The fictional world is seen as complete, and its fantastic elements are not questioned within the context of the story. If successfully done, this narrative mode "consciously negates the sense of wonder " often associated with speculative fiction. But, according to Mendlesohn, "a sufficiently effective immersive fantasy may be indistinguishable from science fiction" because, once assumed, the fantastic "acquires a scientific cohesion all of its own", which has led to disputes about how to classify novels such as Mary Gentle's Ash (2000) and China Miéville's Perdido Street Station (2000). All information for Fantasy's wiki comes from the below links. Any source is valid, including Twitter, Facebook, Instagram, and LinkedIn. Pictures, videos, biodata, and files relating to Fantasy are also acceptable encyclopedic sources. "The Key Difference Between Urban Fantasy and Horror"
"Adventure Game Industry Market Research Summary (RPGs)"
"State of the Industry 2005: Another Such Victory Will Destroy Us"
"SEXISM IN GENRE PUBLISHING: A PUBLISHER'S PERSPECTIVE"
Other wiki pages related to Fantasy.